This is one of the most common questions that I am asked. Whether you are trying to kick a soda habit or simply need to hydrate, finding something interesting to drink is a challenge that many people face. 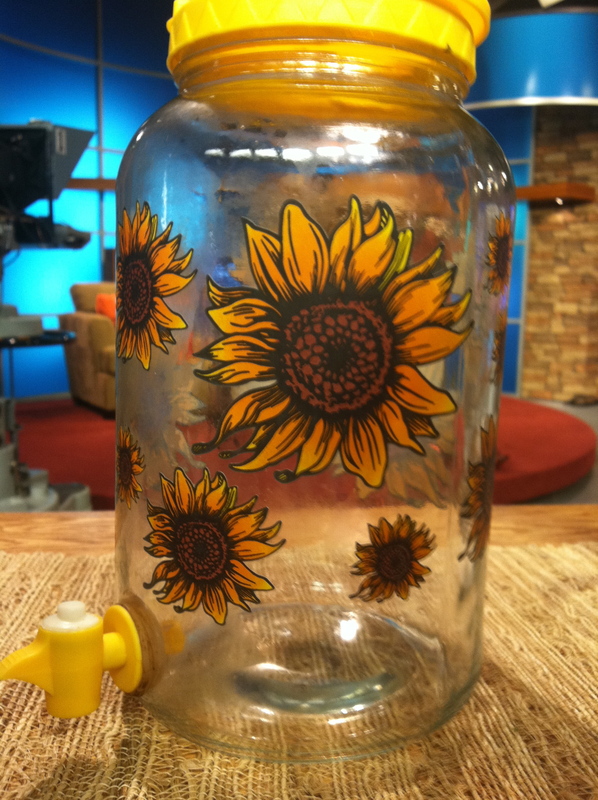 My KVOA segment yesterday covered sugar in beverages. It’s astounding how many teaspoons of sugar are in soda, energy drinks, tea and other beverages. Click here to see the segment. Read on for my favorite no-sugar, super tasty beverages. Infuse water with flavor and antioxidants with real fruit and fresh herbs. This is an awesome water or tea infusion pitcher by Prodyne that you can get at Bed, Bath and Beyond. Hands down, this is the easiest and tastiest way to stay hydrated. I use fresh or frozen fruit, make a pitcher and fill my stainless steel reusable drink bottle. Idea #2: Drink tea. Any variety will do. From black to white to green to herbal, all varieties of tea provide disease-fighting antioxidants that protect cells from DNA damage, reduce inflammation and stops aging in its tracks. If you are limiting caffeine or are looking for unique flavors, try herbal tea. I just love Numi teas, they have the best ginger tea that I have ever tasted. Right now I am a Tazo Passion tea kick. Try it in your infusion pitcher with mint and berries. 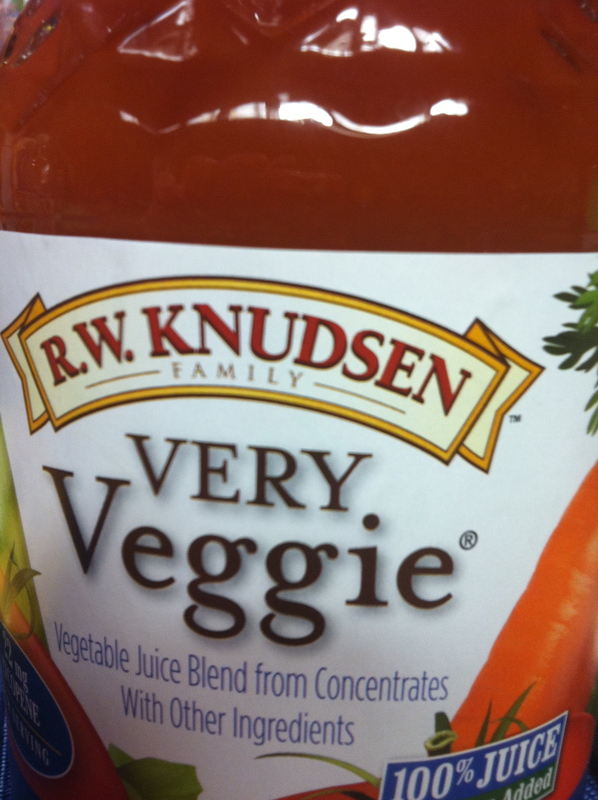 Drink vegetable juice. A good ol’ V8 can do the trick. Choose low sodium if you are concerned about salt, but beware, your taste buds will have to adjust to the different taste. To get the best vegetable juices, use a juicer and throw everything from kale to jicama in there (that combo is from one of my client’s fridge-to-juicer-clean-outs). Check out my Green Drink for a greens smoothie that is jam packed with greens. 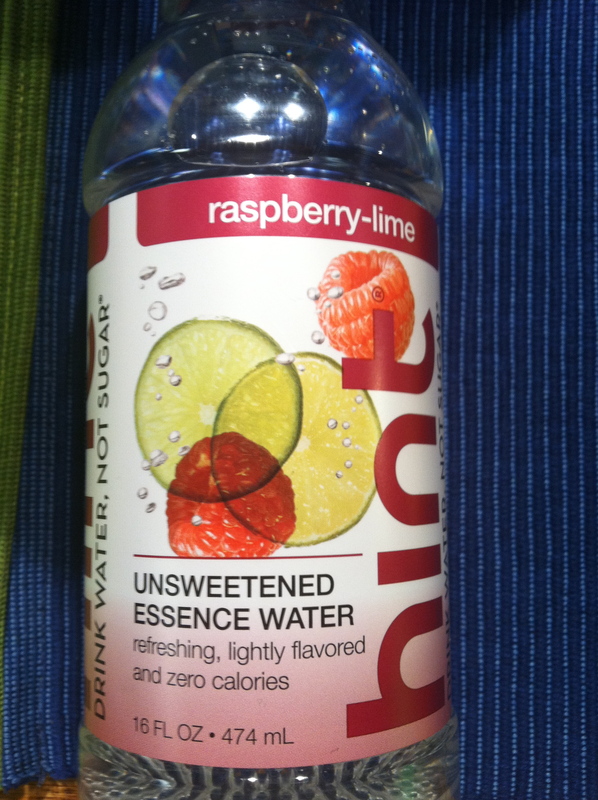 Idea # 4: Flavorful, not sweetened, water. There are also many flavored waters on the market these days, just be sure that they aren’t sweetened with sugar or artificial sweeteners. Flavored water can get pricey and there’s no reason you can’t do it yourself. 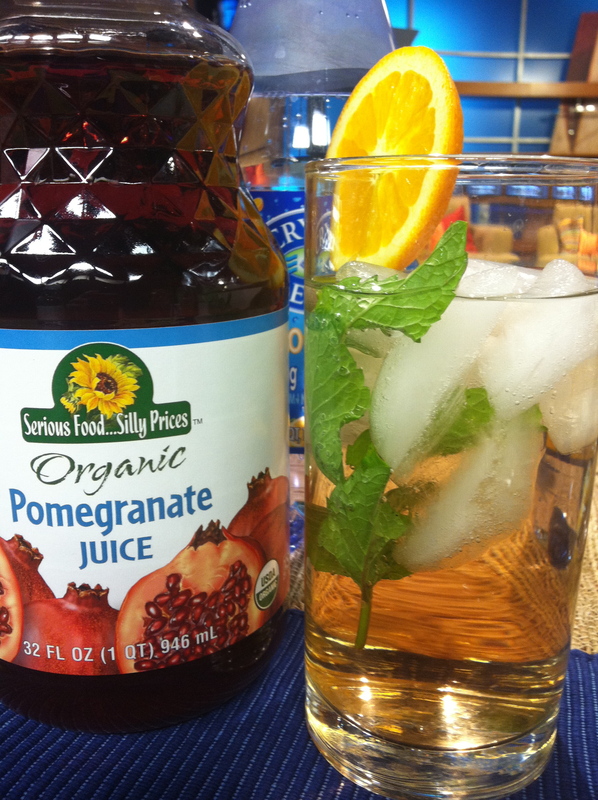 Mix a small amount of 100% fruit juice with water or sparkling water for a hint of flavor. This is also a great way to wear yourself off of juice. 100% fruit juice doesn’t contain added sugar but it’s not the best use of calories because it is low in fiber. I like the taste of plain water myself, but sometimes it does get a bit old and it’s fun to play around with different flavors. Make hydrating fun and tasty by making your drink work for you, instead of against you. Hi Hana – I’ve been enjoying reading your newsletter and have gotten some good ideas for dinners etc. John is diabetic Type II and I’m trying to make meals that are good for him and myself. Your information is tops. Thanks Joan! I really appreciate your feedback. Great talking with you.